Viraaj is the fourth generation to the family line. He was, like most members of his family members, very involved with the business at a young age leading into his university studies. He completed his Degree in Bachelor of Commerce majoring in Accounting and Financial Management & Information Systems (Double Majors). 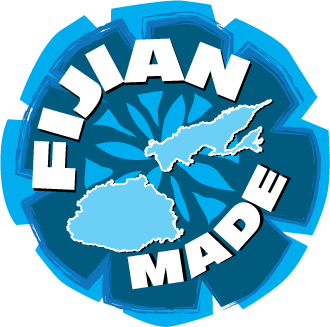 He started his career as an accounting tutor at University of the South Pacific after which he joined an International Insurance Broking firm where his last role was a Manager. In April, 2004 he officially joined his family business as Operations Manager. To further enhance his knowledge in business management he undertook and completed Masters of Business Administration studies on a part time basis while working. He now serves as the Chief Executive Officer (CEO) and manages the daily affairs of the Company based at the Head Office in Ba. 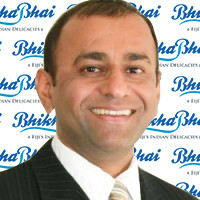 He also serves as Executive Director and Company Secretary for Bhikhabhai Group of Companies. 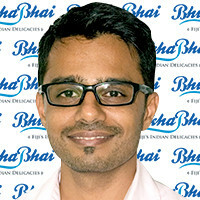 Viraaj has contributed greatly to the growth of business by strengthening businesses structure, processes and tools using modern management techniques. Together with his cousin brother Jayesh, they opened Bhikhabhai's first shops outside of Ba in Nadi (2009), in Suva (2012) and in Lautoka (2017) after over 80 years of business existence. He oversees sales & marketing, business operations, finance, human resources, legal, risk management and assists the Board in preparing strategic & succession planing. Under his leadership since joining, total revenue earned and gross profit margin had doubled with number of employees growth by 3 folds. He is married with 3 children, has a keen interest in yoga, meditation, community projects/events and enjoys time with his family. Jayesh is also the fourth generation and first cousin to Viraaj. He too grew up learning the traits of the business from ground up. He completed Bachelor of Engineering in Computer Systems Engineering at the University of Auckland after which he worked as a Test Engineer, Electronics Engineer and late Embedded Software Developer over a span of 7 years in New Zealand. He joined the family business in September 2006. The expertise he brings with him includes engineering, project management and I.T, software programming, creative designing and research & development. He has overseen the successful implementation of the retails arm's first point of sale system, implementation and maintenance of I.T infrastructure (server setup) for Bhikhabhai Group and introduction of manufacturing automation machines at Bhikhabhai. He was part of the management team that brought modern business practices using sustainable, transparent & accountable business model. He now serves as the Executive Director and manages Bhikhabhai Groups IT requirements, overseeing all aspects of manufacturing & quality control. Together with his cousin brother Viraaj, they opened Bhikhabhai's first shops outside of Ba in Nadi (2009), in Suva (2012) and in Lautoka (2017) after over 80 years of business existence. He was responsible for manufacturing process re-engineering and this resulted in the production output and capacity to increase by 3 folds allowing the Company to expand. 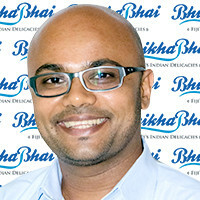 Jayesh is very involved with the Ba Gujarat Education Society & volunteers as a board member & I.T Manager for A. D Patel College, Tagore Memorial Primary School & its pre-school. He is a former student of this institute and is his way of giving back to the community. He is married with two children and has keen interest in mountain biking, outdoor activities, traveling, learning new business and engineering concepts and photography. Amrat is a third generation family member and is a medical practitioner by profession in New Zealand. He grew up making sweets and snacks and still knows how to make Jalebi! 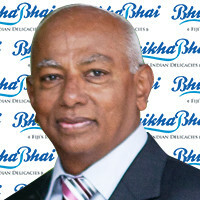 He has contributed towards the establishment Bhikhabhai's sister company, Swits-n-Snax (Fiji) Limited. He serves as a Non Executive Director and has added value to the Group by overseeing that Company Values are enriched in business management. He is part of Board Risk Management Committee overseeing and monitoring occupational hazards and health risks. He is married with two children and his hobbies include playing tennis and tramping. He has and continues to provide his medical services and expertise towards free Medical Camps in Fiji and India. He cares about animals and is a volunteer at local SPCA in New Zealand. Pradip is also a third generation family member who grew up working in the family business. After completing his high school education at Lynfield College in New Zealand, he completed his Chemical Engineering studies at Auckland University of Technology and later graduated in Post Graduate Diploma in Business (Operations Management). He has lived in New Zealand since 1983 and worked as in various roles including Production Manager, Business Manager and Account Manager. Currently he heads a Business Unit as Business Unit Manager for one of the largest, privately owned providers of raw materials in Australasia. 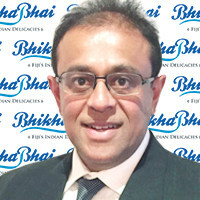 Pradip serves as a Chairman (appointed in 2017 as successor to Hemant Kumar Lad) and Non Executive Director of Bhikhabhai Group of Companies and offers his expertise to the Board of Directors especially in the fields of technical applications (food industry), operations managements, business development and strategic planning. He is married with 2 children. His interests include cycling, cricket, cooking, reading and music. Minesh is also a third generation family member who like his parents and siblings worked in the family business whilst growing up. After completing his high school education, he studied at Auckland University. After having worked in New Zealand for few years, he joined Bhikhabhai & Co. Ltd as Operations Manager in 1998 and later joined Swits-n-Snax (Fiji) Ltd in the same position. He was instrumental in growing sales and improving risk management measures for Bhikhabhai Group during his tenure before migrating and settling in Australia in 2005. He works as a Specialist Risk Insurance Advisor (Personal & Business). Further he is a member of the Association of Financial Advisers (AFA) and Qualifying member of the Million Dollar Round Table. Minesh serves as a Non Executive Director and offers his expertise to the Board of Directors especially in the field of risk management given his 7 years of work experience at both Bhikhabhai Group of Companies. He is married with 2 children. His interests include fishing and playing soccer.